Save yourself unnecessary headaches and buy an authentic BenQ 5J.00S01.001 lamps from a recognized dealer. You’ll be getting a far superior product with a replacement guarantee and tech support. 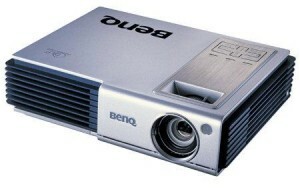 When the BenQ 5J.00S01.001 lamp is approaching the Lamp Indicator flashes red and warning messages appear on screen of the BenQ projector. First Warning: TheBenQ 5J.00S01.001 lamp has been in operation for 1800 hours. You can continue using the projector until the lamo reaches 1950 hours of usage. Second Warning: The BenQ 5J.00S01.001 lamp has been in operation for 1950 hours. Replace the lamp as soon as possible. 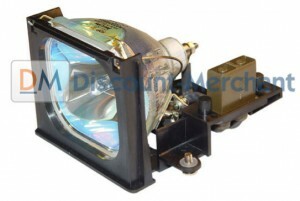 Third warning: The BenQ 5J.00S01.001 lamp has been in operation for over 2000 hours. You’ll see this message for 30 seconds along with the LAMP indicator lighting up red for 40 seconds. Replace the lamp immediately. Click here for step-by-step instructions on how to change the BenQ 5J.00S01.001 projector lamp for the BenQ CP120C projector. Use the Lamp Power option on the BenQ projector and set to Economic Mode to reduce the amount of power used but extend lamp life.